All staff, both teaching as well as administrative work tirelessly to make the learning process at CSI a meaningful process. At CSI we value all the good work that our staff does and we provide them with an environment that brings out the best in them. All staff is appointed with great care and the school has an extensive teacher training programme to help them grow professionally keeping abreast of the latest developments in the field of education. Teachers at CSI not only teach in the classroom but also instill values in children. 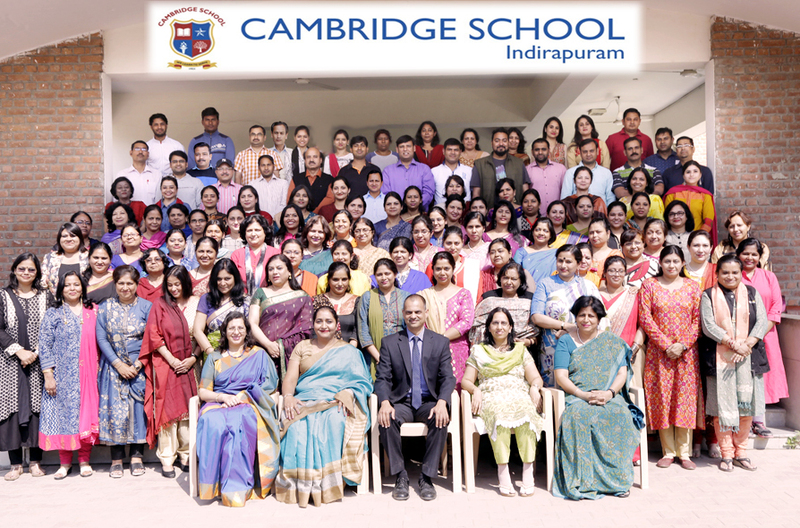 The school has an extensive co-curricular programme that enables teachers to interact with students outside the class room and inculcate in students essential life skills. The school is headed by the Principal, Mr. Harendra Chakhaiyar. The Vice Principal, Ms. Hardeep Kaur, extends support to the senior secondary school along with the Academic Supervisors and the designated Heads of Departments. The primary school is under the charge of the Headmistress, Ms. Preeti Sirohi, along with her team of class co-ordinators and teachers. Dr Swati Dixit is the Academic Supervisor of the Senior School i.e. Classes IX, X, XI and XII. Ms Seema Upadhyay is the Academic Supervisor of the Middle School i.e. Classes VI, VII and VIII. Ms Malvika Shrivastav is the Academic Supervisor of the Primary Section i.e. Classes Nur – V.